Rethinking Faith and Church: Watch Your Mouth, Blasphemer! 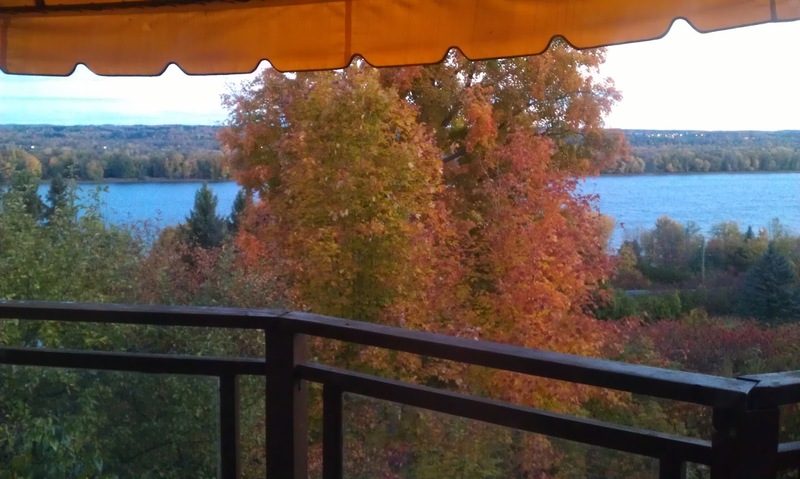 As I type these words, I am perched on a deck high on a hill overlooking the Ottawa River and the Gatineau Hills of Quebec. I never get tired of this truly magnificent and million-dollar view! While enjoying the peace and tranquility of my early morning devotional location, my eyes paused on Romans 2:24 which says, “The name of God is blasphemed among the Gentiles because of you” (ESV). Not exactly comforting words, wouldn’t you agree? What are we to make of that? For some reason, the first thing that came to my mind was of how many of the common swear words in French-Canadian lingo have to do with the church, and specifically, the Roman Catholic Church. I remember how as a teenager attending high school here in eastern Ontario, I was exposed to them all, and then some. Here are a couple examples, but in the interest of decency, I will not share what the words have come to mean, but only their origin. All of these had their genesis in the Roman Catholic Church, but when one hears them today, they have evolved into derogatory and unmentionable swear words. Why are Roman Catholic religious terms used as swear words? A good question, to be sure. In all fairness to French-Canadian Roman Catholics, the problem goes beyond just their "faction" (see: "dissensions, factions;" Galatians 5:20; NIV) of the church; it has touched all Christendom. Who hasn’t heard people use the Lord’s name in vain in any language, regardless of denomination? Even professing Christians, I would argue, do the same when they use certain words. Words such as Shoot, Darn, etc., are used my many believers as if to suggest that by slightly twisting the common swear words (as some would call them) you no longer are really swearing. However, does not the spirit in which it’s said remain? I don’t want to be legalistic about this, but again, the question remains, why do they do it? Now hold onto your hat; we’re about to pull a Star Trek and “boldly go where no” Rethinking Faith and Church blog post has gone before. A while ago I began reading the Quran in an effort to see exactly where our Muslim neighbours were coming from, and especially in an effort to try and see where those labeled as ‘extremists’ were getting their thoughts from. I remember reading of how the English version of the Quran uses the term “People of Faith” to include Jews and Christians. This I found curiously interesting. The problem the Quran appears to have with non-Muslim faiths (and even those within their own faith), is when followers are lethargic and wishy-washy and don’t strictly walk according to the faith they profess to have (as they perceive that all people of faith ought to do). These types of believers the Quran calls, infidels. Now please understand, I am not suggesting that we ought to all go and read the Quran; I did so simply out of curiosity. But I find it interesting that, though we obviously disagree on many doctrines, the Quran seems (unless I’ve misinterpreted that which I’ve read) to struggle with “People of the Book” (Christians and Jews and Muslims alike) who do not faithfully follow that which, as they understand it, their Scriptures teach them to do. Though it may perhaps sound legalistic, I struggle with that as well. Furthermore, I suspect the unbelieving world also struggles with it. Having said that, if the unbelieving world does in fact struggle with what they see as hypocrisy in the lives of “People of the Book” (Christians), then is it really any surprise that, “The name of God is blasphemed among the Gentiles” (the unbelievers) because of their perceived hypocrisy in the faiths of Christians and other religious groups? Hmm, I wonder sometimes. Do the perceptions of others matter? For more on this, you may want to check out this post. Do you and I give the unbelieving world and an excuse to blaspheme the name of God because of what they perceive as hypocrisy in our professions of faith? If so, what are we going to do about it? Bury our heads in the proverbial sand as we’ve historically done? Justify ourselves, and by default, dismiss their concerns? Or make sure our walk begins to line up with our talk? I don’t know about you, but I choose the latter. At any rate, may no one ever blaspheme God because of what they see in me. Peace.